It’s time to be creative. Let us help inspire you to design your very own arts and crafts paradise. Firstly, nothing beats a blank canvas so don’t be tempted to add color from the initial get-go. White walls evoke endless possibilities, creating bright and invigorating spaces which will later encourage you to proudly display your works of art, along with the array of inspirational colors and trends you’ll be working with. When it comes to wood flooring, the material used will depend on how you’d like to use your creative space. To cover all aspects of arts and crafts, laminate flooring is an ideal choice. With its high durability and low maintenance, laminate will live up to its purpose as well as add style to your room. 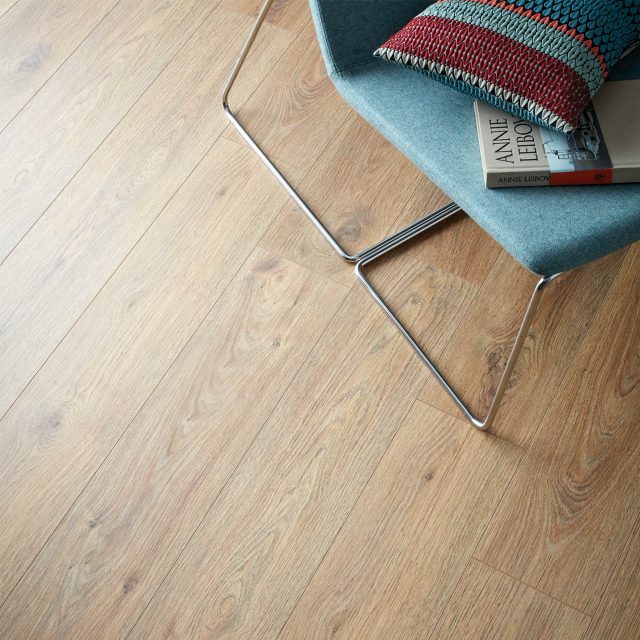 See our Wembury range for flooring inspiration. Lighting is a key component to any designated arts and crafts space. 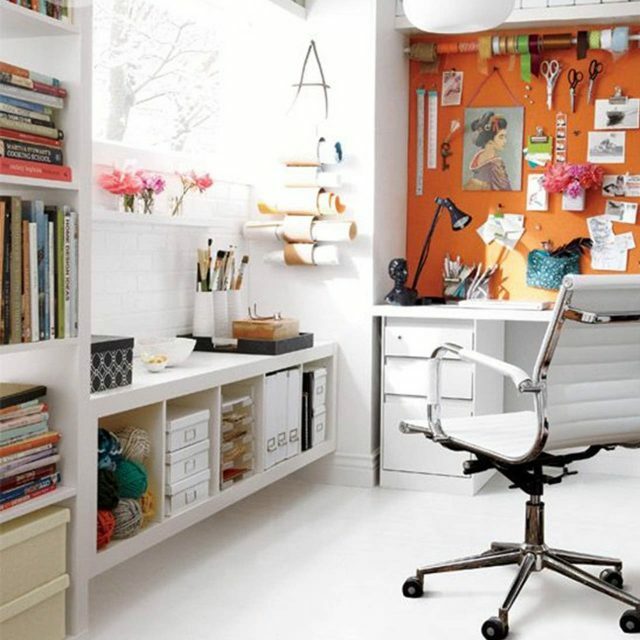 So, before you begin, choose the area where natural light is maximized – this is where your work table will reside. If you don’t have a window, don’t worry as whatever your circumstances, you’ll still need a good quality desk lamp and floor lamp for the dreary darker days. 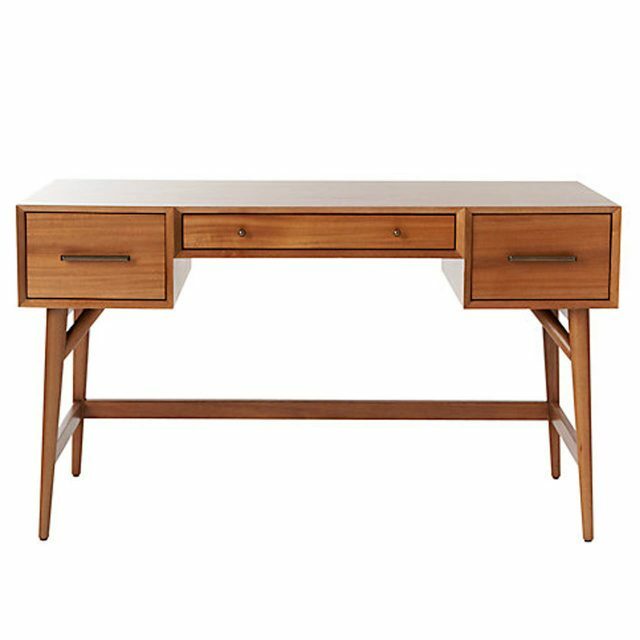 Next, consider your work desk – all craft rooms require a large sturdy work desk for appliances and workspace. So think about your intentions, will you be creating large pieces of art and crafts or smaller transferable pieces? This will help you choose a desk size. To ensure your creative retreat remains tidy, storage is key. If not from the beginning, you will eventually be inundated with exquisite materials, fabrics, tools and accessories so investing in quality storage is priceless. If you can purchase a vintage style merchant’s chest, you will be on your way to an organized haven. But with a little imagination, most household items can be used and transformed into purposeful components: mason jars, shoe boxes, biscuit tins, garden palates, crates and much more. Shelves are a great space saver. 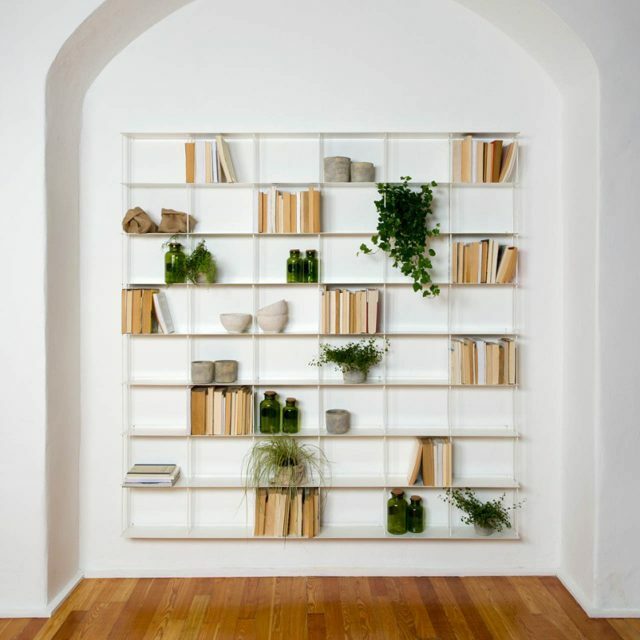 As well as neatly storing items away, they also add interest and character to otherwise bare walls. Using a mixture of open and closed shelving ensures you have room to hide away any unsightly but important items and documents. The ability to relax and enjoy the surroundings is paramount to the design of your arts and crafts room. An adjustable swivel chair is a great investment. This will enable you to alter you seating position depending on the activity in hand. For the ultimate relaxation, a comfortable arm chair or small sofa will serve you well. 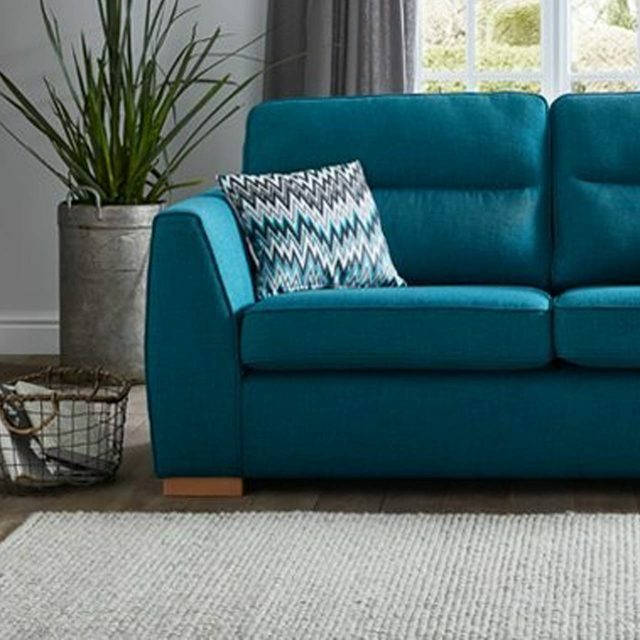 A sofa bed will enable you to share your creative haven with friends as well as provide you with the opportunity to quickly transform your room into a temporary sleeping area for those last-minute family visits. The possibilities are endless but with a little planning and research you will have your very own creative sanctuary in no time.